M K High School, Borivali West, Mumbai is a great wedding to host your wedding and reception party. 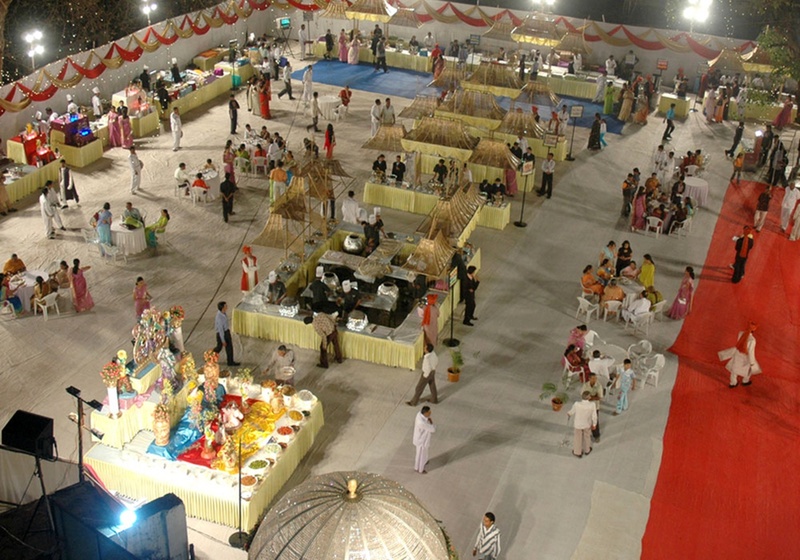 It has spacious banquet halls which can accommodate a huge crowd for your function. The elegant décor of the venue makes it an ideal option for a grand wedding. The venue serves delicious pure vegetarian good to your guests. The decor team takes care of the decoration for your big day. The venue has two-time slots choose the one which suits you the best for your upcoming function. So go ahead and host your events at M K High School, Borivali West, Mumbai. Please Note: The venue has been closed down. The M K High School located in Borivali West, Mumbai has Banquet Halls and Wedding Lawns. Hall 2 can accommodate upto 300 guests in seating and 500 guests in floating. Hall 1 can accommodate upto 400 guests in seating and 600 guests in floating. Vegetarian food is served at this venue. Features of this wedding venues are : Food provided by the venue , Halls are air Conditioned , Baarat allowed , Hawan allowed , Decor provided by the venue , Packages starts at Rs 400 per plate for vegetarian menu and at Rs N/A for non veg menu.